I want to study for the CNNA. I've been looking at udemy offers and there are two stand out courses. 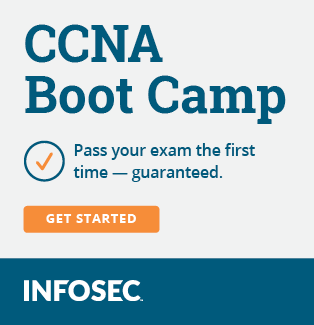 Chris Bryant's CCNA 2016 200-120 Video Boot Camp. Lazaro Diaz's Cisco CCNA (200-120): The Complete Course. They both have many students enrolled with a high satisfaction rating, but I don't know which to go for. I'll also be ordering books from amazon, but right now I have two weeks off from work and I want to cover a lot of ground online. 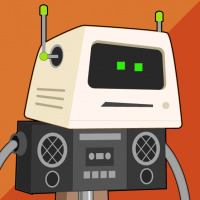 I'm using MARCH015 code to get 70% off if anyone is interested. I haven't taken the CCNA or taken courses from either of these instructors. However, I have seen threads on here about how people have liked the Chris Bryant videos. I'll defer to people with actual experience with taking the exam and their study materials. I've been doing further research and it seems Chris Bryant has the majority vote. Apparantly Chris uses real labs whilst Lazaro uses Packet Tracer. I'm about halfway through Laz's course and I've been very happy with it so far. He has a fun, energetic, way of teaching the material, where Chris's style is a little dry (just reading plain text). But they are both great. And by the way, I've heard Packet Tracer is good enough for the CCNA. Although using real live labs is always ideal. Thanks for the reply. How many weeks did it take you to go through half the course and when do you expect to finish? I've already bought Chris' course, and been watching it for the past hour or so, apparantly I've done 2%, which I'm guessing is around 4% of ICND1, at this rate I'll be able to sit the first exam in two weeks. Can I also add, it was Lazaro's energetic presentation style in his preview video that got me interested but in the end I decided to follow the crowd. It took me about a month to get where I am, but I'm going at an extremely slow pace. With my busy life, I only have a few hours a week to study. I went with Bryant. His vids are great. Chris Bryant is cool, but its just text and slide shows..yea live equipment but how do you follow along ? Laz is great, I love packet tracer and you can do cool lab work with it and follow along. It helped me not only learn but get comfortable with the commands. TBH I think - sikandar shaik ccna class is GREAT and FREE, his accent is a lil difficult to understand, but the way he teaches is GREAT and I've learned the most from him, anyhow best of luck to you. Even Chris says in his videos, don't use him as the only source of learning. I highly suggest the items below.